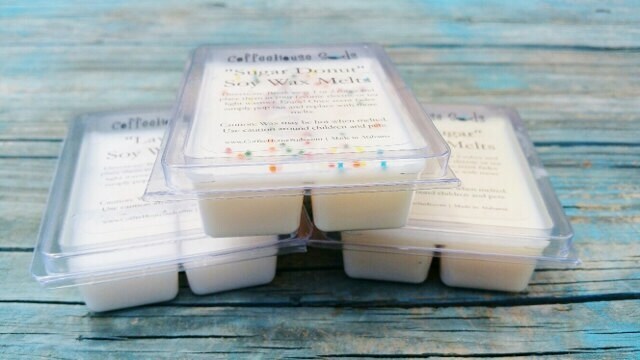 Soy Melts are made with a special blend of soy wax that gives an exceptional throw throughout the room/home. 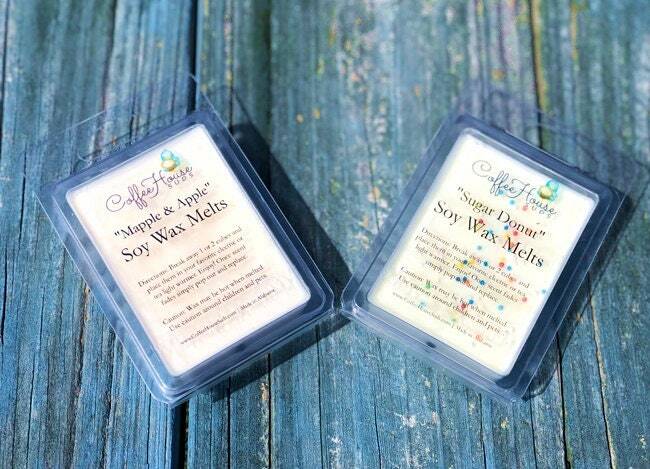 Soy Melts work in all electric or tea light tart warmers...including Scentsy! 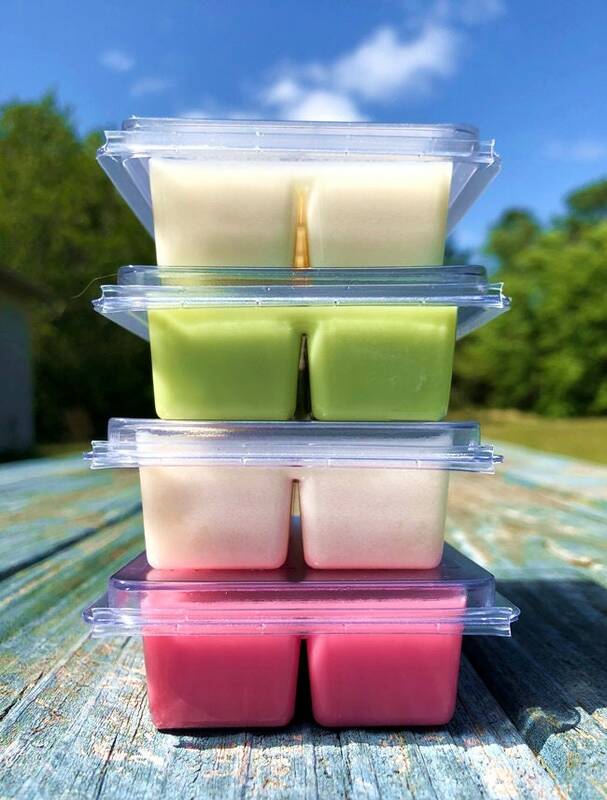 To use: Pop out single cube and add to warmer. Depending on size of burner, you might be able to add 2 or 3 cubes. Enjoy hours of scent! 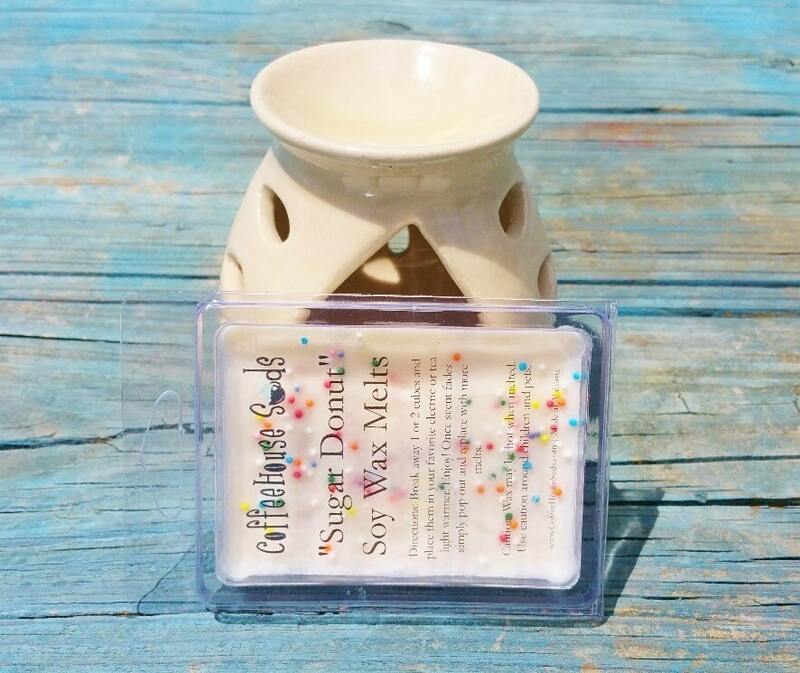 Once scent fades, pop out wax from burner and add another wax melt cube. **SHIPPING** I ship using USPS only. All packages will go out within 1 to 3 days of payment clearing (usually on Friday or Saturdays)...unless it's a "Special Order" item. Once in the hands of USPS, it should take 3 to 5 days to reach destination...unless it's International. **COMBINED SHIPPING** I do combine shipping...and refund any overcharges above $1 after transactions are complete. **WORLDWIDE** My products love to travel! If you have any questions...just send me a message. **RETURN/REFUND POLICY** I put 110% of care and love in making my products. Please remember that my products are all handmade by myself, T.A. Helton. Each and every bar of soap is slightly different than the next. If you have any questions regarding my soaps, how I make them, or anything else please ask BEFORE making a purchase. 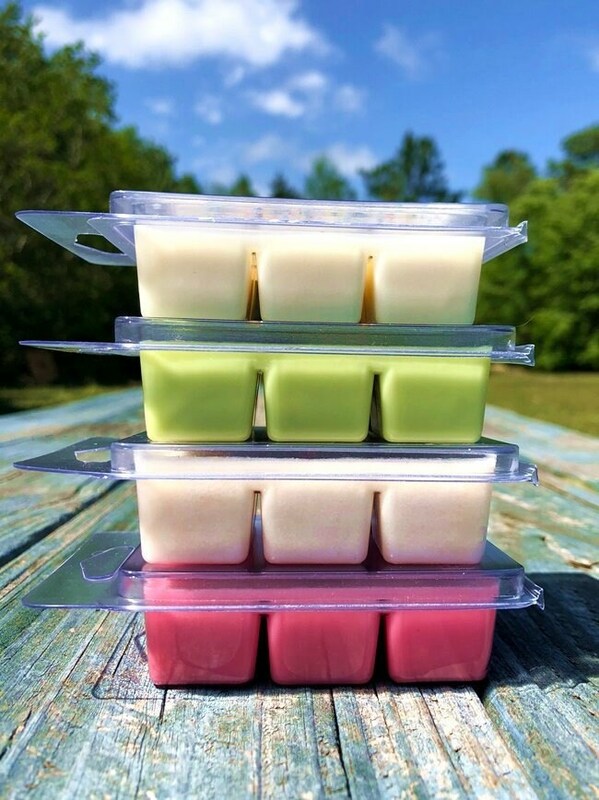 **SPECIAL ORDERS** I would love to make a batch of soap especially for you! Is there a fragrance or essential oil that you love? Let me know. As always, you can message me for an updated list of available soaps in my studio.